DAVIS, Calif. -- A terrier mix from the Sacramento-area is getting a helping hand from some clever students at UC Davis. By all accounts, the dog named Hobbes can manage pretty well, even though he only has three legs. Vets had to amputate his front left leg after it didn't heal correctly following a break. 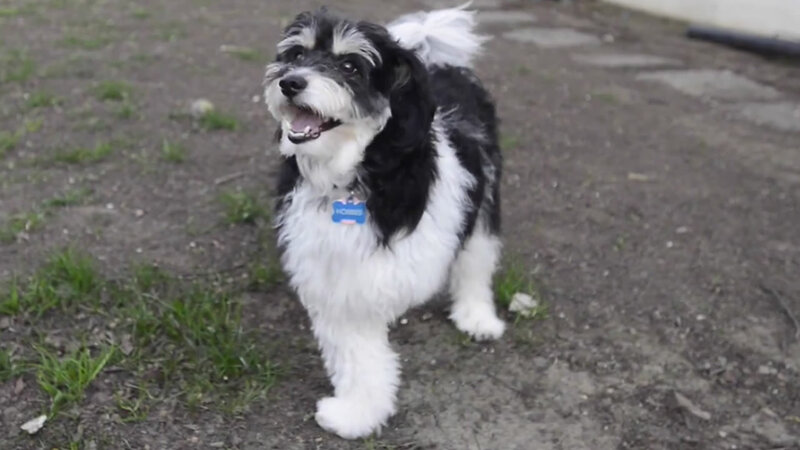 Video provided to ABC7 News by The Sacramento Bee shows Hobbes romping around his front yard. Fortunately for the pup, his owner knows some pretty smart and crafty people who are material sciences students at UC Davis. They went to work, using the help of a 3-D printer to make a prosthetic fourth leg that Hobbes can use. They're happy to report that Hobbes is now getting used to having four legs again.